Are you looking for a fun way to teach math? Try LEGOS®! Math can be fun to learn when you use LEGOS to reinforce key math concepts. From grouping and multiplying; adding and subtracting; measuring, weighing, and estimating; LEGOS can make learning math fun for children of all ages. Pre-school STEMists can begin to learn math through LEGO play. One way to teach the basic concept of adding and subtracting is ask the child to group the Duplo LEGO bricks by color. Ask them to count the number of bricks in the color group. Then, add the groups together to come up with the total number. Or, ask your STEMist to only count the number of yellow Duplo LEGO bricks and the green Duplo LEGO bricks, and then add them together to get a total. Counting the bumps on a single LEGO brick is another way to teach your children addition. These same methods also can be applied to teach subtraction. LEGO bricks are an excellent way to teach your STEMist about fractions. Connect LEGOS of the same color and stack them to create a tower. Then, demonstrate fractions by removing bricks. You also can stack several towers and ask the students to create a graph on paper to display the tower fractions. Young STEMists can learn to measure different objects such as a shoe, desktop or chair by connecting LEGO bricks and using this as a unit of measurement. Ask your child to write down the measurements and then graph them. LEGOS also can be created in different shapes and weighed against each other or other objects, such as if the LEGO airplane weighs more than a red corvette Hot Wheel car. Create several LEGO designs and ask your children to estimate the number of bricks used to create the design. Then, use visual comparison to estimate which design has the most LEGO bricks, or which design has the least of one specific color LEGO brick. STEMists in the upper grade levels will be more challenged to combine 3 eight studded (2×4) LEGO bricks to create 1,060 different combinations. Another challenge uses spatial awareness; you create a LEGO design and have your child mimic the design, which will foster hand-eye coordination and introduce your STEMist to 3D engineering. Most important is to allow them to create, play and build LEGO masterpieces when they finish their mathematical challenges. You may notice in this free play with LEGOS that your STEMists will begin to apply the mathematical concepts they learned. According to LEGO.com, laid end to end, the number of LEGO bricks sold in 2012 would stretch round the world more than 18 times. And, to reach the moon you would need to build a column of around 40 billion LEGO bricks. No matter how you use your LEGO collection to teach math, STEMists will be better equipped to grasp mathematical concepts, and spatial and proportional theory—even if they don’t realize it! 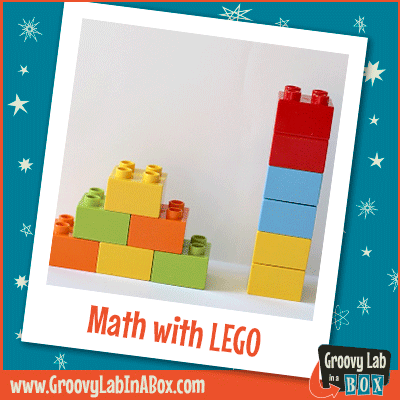 If your child loves to have fun while learning math, check out Groovy Lab in a Box. 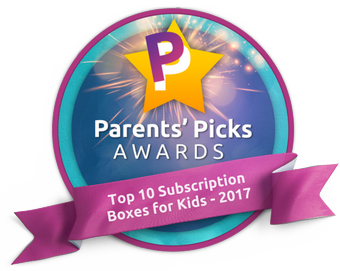 Our monthly subscription service puts the “fun” in learning STEM (science, technology, engineering and math). Start your subscription today!